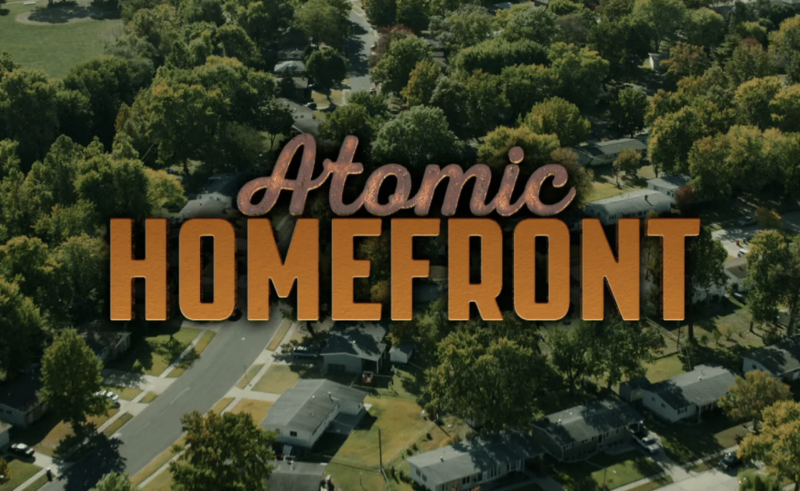 HBO’s new documentary, Atomic Homefront, shows how communities are still struggling to live with radiation from radioactive waste generated more than 70 years ago during the race to build the atomic bomb—part of a secret government effort during World War II known as the Manhattan Project. In a sense, residents of these communities are still suffering from the consequences of that war. The timing of this powerful film, directed by Rebecca Cammisa, is significant. Last December was the 75th anniversary of the first controlled, self-sustaining nuclear chain reaction achieved by Enrico Fermi and his colleagues at their Chicago Pile–1 reactor, or CP-1 for short, located at the University of Chicago. This event gave prominence to the field of nuclear physics and paved the way for the production of plutonium for nuclear bombs—and later, the production of electricity in nuclear power reactors. The reality was far different, as this film painstakingly shows. Not only has the generation of weapons-related nuclear waste proved to be a difficult problem to solve, but the sheer volume of material involved is massive. The CP-1 reactor used natural (unenriched) uranium as fuel. Over its lifetime, this one reactor consumed about 45 metric tons of uranium dioxide, which was essentially all produced in building 51 of the Mallinckrodt Chemical Works plant in downtown St. Louis, Missouri. The fuel was produced from purifying high quality Belgian Congo uranium ore, 1,250 tons of which had been bought earlier by Col. Leslie R. Groves and stored on Staten Island, New York. In 1947, when production stopped at the Mallinckrodt plant, most of the processing byproducts that contained radioactive residuals were trucked away from downtown St. Louis and stored on open ground at a 21.7 acre tract of land now known as the St. Louis Airport Site (SLAPS). During transport, radioactive materials were spilled at various locations along the 12 miles separating the plant from the airport. In total, over the course of about a dozen years, SLAPS stored a total of about 380,000 cubic meters of radioactive material, making it one of the largest sites by volume of solid radioactive waste from nuclear weapons production in the United States. Illegal dump. In the 1960s, the Atomic Energy Commission sold approximately 121,000 tons of uranium refinery residues and contaminated wastes from SLAPS to a private company, called the Cotter Corporation. Once purchased, the residues and wastes were moved to another location, 9200 Latty Ave. in Hazelwood, Missouri, only one mile from the airport, and stored in two-story-tall, open-air piles. But a series of mismanaged efforts by the company to store, handle, and transport the radioactive waste caused the spread of a total of 150,000 cubic meters of these materials onto several properties in the vicinity. Some of this waste was spilled along the routes that vehicles used to haul the material, while other waste—such as the piles stored in the open at the Latty Avenue property and left in place there for several decades—was washed by rain water to the nearby Coldwater Creek, resulting in radionuclides being spread in the surrounding environment. Then, in 1973, approximately 47,000 tons of the same legacy radioactive waste were moved again from Latty Avenue (which eventually became known as the Hazelwood Interim Storage Site), and illegally dumped nearby at the West Lake Landfill. The radioactive waste contains mainly uranium 238, thorium 230, and radium 226, all long-lived daughter products of the uranium decay chain. These particles are potentially harmful to humans when inhaled. They have been found by the US Army Corps of Engineers in soil samples from public parks and private houses adjacent to Coldwater Creek. The Homefront story. The film looks at the communities living in the North St. Louis County as they fight against the illegal dump of radioactive materials at the West Lake Landfill and the contamination spread around Coldwater Creek. The film has a dramatic progression as an underground fire, known in bureaucratese as a subsurface smoldering event, on the Bridgeton side of the landfill gets closer to the West Lake side, where radioactive materials are located. Any contact between the fire and radioactive waste would lead to a wide spread of radionuclides into the air, causing an even worse environmental and health disaster than already existed. In the fall of 2014, when the first part of the film was recorded, the fire was located in the south quarry area of the landfill. But there was no agreement about the state of the fire and whether it was progressing north towards the radioactive waste. Republic Services, the private company that owns and operates the landfill and is the second largest waste disposal company in the United States, was saying that the landfill was safe and actively monitored, and that the fire was limited to about half the south quarry area and that it would eventually extinguish itself before getting to the West Lake side. But an analysis conducted by the state of Missouri found that the fire was already spread over the entire south quarry area and about 1,000 feet from the West Lake side. Complicating matters, the underground fire can only be monitored indirectly, through measurements of temperatures at and carbon dioxide emissions from the landfill. According to the former head of the unit at the Missouri Department of Natural Resources—the state regulator in charge of monitoring the area of the landfill that is burning—the existence of an underground fire became evident in September 2010, when elevated temperatures and carbon dioxide emissions (as well as the presence of particles of radium 226 on the surface) started to be measured at the landfill. The head of the unit resigned, soon after saying in a letter that the department was withholding critical information about the site. Relying on the data provided by Republic Services, the US Environmental Protection Agency said in 2014 that there was no conclusive evidence that the fire was progressing towards the radioactive waste. But when pressed by the community living close to the landfill to remove all the radioactive materials, the EPA instead proposed a contingency plan consisting of the installation of an isolation barrier. The wall would protect the radioactive waste from the fire if it reached the waste, thus acknowledging that the fire was progressing and not self-extinguishing. By early 2016, when the film ended, the federal agencies acknowledged that the fire was indeed occupying all the south quarry area of the landfill, contradicting their earlier statements. When first announced, the design of the wall was expected to take 12 to 18 months, but no barrier was ever constructed. Later the EPA reversed its strategy saying that the wall was technically impossible to build in due time. In another public meeting in March of this year, only a few weeks after the documentary was premiered on HBO, the EPA announced its intention to remove 70 percent of the site’s radioactive waste within five years. But, neither a partial removal nor the schedule proposed is considered acceptable by the neighboring communities, given the underground fire has been active for seven years already and continues to progress towards the radioactive waste materials. As of end of March 2018, the underground fire at the West Lake Landfill was estimated to be 600 to 700 feet from the radioactive waste, Dawn Chapman, spokesperson for the Just Moms STL nonprofit organization, tweeted on March 30, 2018 on Twitter. A final decision about the landfill is expected to be made by the EPA Administrator Scott Pruitt, in August. Unsurprisingly, people in the audience were not convinced. And there is a good reason for that: The models shown by the experts contradict the evidence of the increased number of early-age cancers experienced in the community. Scientists believe people don’t trust them simply because they don’t blindly listen to scientific discourse by experts. But trust and credibility are defined through social interactions; they are not some intrinsic feature to either the actors concerned or to the information said to be transmitted between them. Studies such as those conducted by Brian Wynne in his article “Misunderstood Misunderstanding“essentially tell us that in the public mind, who says a thing, how they phrase it, and where they lie on the social scale count for just as much as what they say. Context matters as much as content. Therefore, the inability of scientists to take seriously the anecdotal evidence provided by the local community can only exacerbate public distrust. And this distrust is more likely to form when experts are recognized as outsiders to the community affected by an environmental and health problem. For their part, experts also tend to distrust the average, non-expert’s ability to make rational choices. What is missing is the mutual understanding that what is considered to be rational is often the result of subjective values and preferences shared among members of a specific social group. Experts and citizens belong to two distinct social groups in this regard, with inconsistent views and priorities about the role to give to scientific expertise in democracy. This shows two worlds in collision with each other. On one side is a world in which democracy—where people collectively determine their social contract—takes precedence over epistocracy, or rule by experts. In the other world view—increasingly shared among scientists and politicians—is the idea that “experts ought to be in charge of public policy and should manipulate, or contain, the policy preferences of the ignorant masses.” In short, it is a case of the elites against the people, where the two groups are engaged in a mutually distrustful relationship. I often have experienced this latter view. When, at scientific meetings, I am presenting my research on the importance of trust-building efforts in the management of radioactive waste, I constantly get the objection by established scientists that people cannot be trusted to make decisions. With such a divide, no wonder the US nuclear waste management program has been stalled for decades. But what these scientists don’t realize is that, while secrecy and technology-minded expertise have always ruled nuclear weapons programs, dealing with the legacy of radioactive waste is first and foremost a social problem—which no technology alone will ever resolve. The film is just another instance of the deep lack of public trust in the EPA across America. The film shows how a September 2014 public meeting turned into questioning the intentions of the Environmental Protection Agency in remediating the radioactive contamination at the West Lake landfill, memorably expressed as: “If you don’t tell me you can buy a house in the backyard of that landfill, I don’t believe you.” But, when the Superfund program director said that she would well buy a house there and that she has relatives living a few miles from there, another mother jumped in saying that she lost one child from cancer already and her three others are sick: “So don’t tell me you want to live here.” It is no surprise, really, that the EPA did not attend the next meeting, saying that the security of its representatives was not ensured (despite the law requiring the EPA to attend all public meetings of Superfund sites). This absence shows how federal regulatory agencies are often unable to negotiate with communities on environmental conflicts. But more important, this film shows the distance that exists between the federal bureaucracy and people’s daily lives. Such distance can only further fuel the distrust of a public that perceives a lack of commitment from institutions and an apparent lack of “skin in the game” from personnel overseeing the issues. But at the same time, the EPA clearly faces many constraints in its ability to remediate the West Lake landfill. The federal government is engaged in the cleanup of dozens of other sites in the United States and dealing with the broader issue of the management and disposal of radioactive waste nationwide. Citizen science. In parallel with the fight against the landfill, the community of Coldwater Creek launched in 2015 a campaign of self-reporting cases of cancers and other autoimmune illnesses affecting those living in the area. The film shows how a group of former high-school students now in their 40s have developed all 21 types of cancers associated with exposure to ionizing radiation by the US Department of Veteran Affairs. The maps showing the self-reported cases of cancers and diseases seem to give solid evidence that those health problems are more likely to occur in the population living next to the Coldwater Creek flood plain. The maps generated by the Coldwater Creek community is a case of citizen science aimed at putting pressure on the federal agencies to study those cases. One legitimate objection to these self-reporting cases is that they cannot be used as evidence to calculate the effect on health of the radiation levels measured at Coldwater Creek. There is indeed an inherent difficulty to provide evidence of any association because the self-reporting cases cannot discriminate between those cases of cancers caused by the radiation and those due to other causes. Association is not causation, after all. Or as one well-known rubric in science goes: “Just because the rooster crows in the morning, doesn’t mean it made the sun rise.” The apparent higher number of cancers around the Coldwater Creek could be over-represented as the population perceives the risks as proportionally higher if living closer to the creek and the landfill, and consequently more likely to report a known case of cancer. The West Lake landfill ultimately poses the challenge of how to regulate a chronic long-term risk of low-level radiation exposure to a widespread population. However, such objection should not serve as a justification for claiming that no association could ever be established in absolute terms. According to the American Cancer Society, the incidence rate for all types of cancers in the state of Missouri currently is 504.9 cases per 100,000 individuals, which is slightly below the national average. When we compare the 1993 reported cases of cancer to the total population of the North St. Louis County (estimated at 350,000 persons), the incidence rate is about 569.4, or about 12 percent higher than the state average. For instance, there have been 45 reported cases of appendix cancer in the area, corresponding to an incidence rate of 12.8 cases per 100,000, or more than 10 times higher than the already high incidence of 0.97 per 100,000 estimated by a team of researchers from the University of Minnesota in 2009. Although to date there is no clearly established risk factor other than age in the incidence of appendix cancer, these numbers show sufficient evidence for the need to conduct a campaign of radiation dose reconstruction in the population of the North St. Louis County for developed diseases in which latent chronic low-level ionizing radiation exposure is considered a risk factor. Such a campaign may prove costly to establish a correlation for every individual, considering the incidence of health problems and the radioactive contamination of the area surrounding the Coldwater Creek at the St. Louis Airport Site and the Hazelwood Interim Storage Site. An alternative could be to have Congress passing a bill for compensating those developing a cancer in the area. There is precedent for this. For instance, the Radiation Exposure Compensation Act of 1990 provides monetary compensation to veterans and federal civilians who have developed cancers or other specified diseases after being exposed to radiation from atomic weapons testing or uranium mining, milling, or transporting. Such a compensation scheme could also be applied to citizens who were exposed to radiation from the nuclear weapons’ production sites and who are concerned by the environmental cleanup program. Slow violence. The story of the Coldwater Creek community is one of the many instances of slow violence from toxic and radioactive waste, and indirectly from those institutions that are unable to remediate a long-known environmental problem. Elsewhere in the United States, many sites are contaminated by radioactive waste from the legacy of the defense program. But it is not a problem confined to the United States; think of the uranium mine and mill tailings at the front-end of the nuclear fuel cycle in South Africa, Namibia, Kazakhstan, and elsewhere in the world. For every ton of uranium dioxide fuel used in a reactor, approximately 5,000 tons of mill tailings are generated, piling up at uranium mines, and slowly contaminating their surrounding environment according to which direction the wind blows and the water flows. The film brings to America’s homefront the global problem of environmental justice, mainly affecting the poor populations south of the equator. 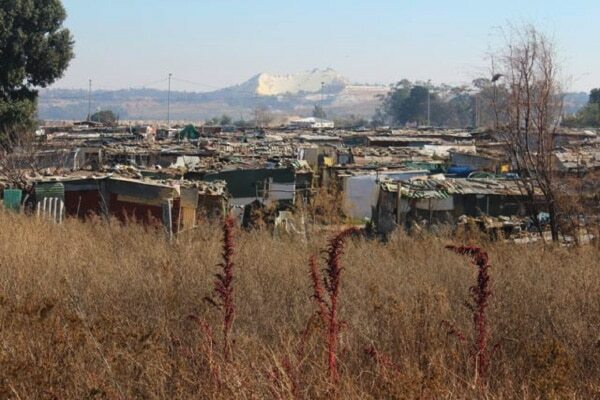 In many of those places, there is no Superfund Program for the environmental cleanup of the mill-tailing piles, as is the case in South Africa’s informal settlements. But even if the West Lake Landfill were cleaned up, several cases of environmental justice would remain unresolved. First, it is not clear how the locally affected population will ever be compensated for the devaluation of their houses and the high costs incurred by the affected families needing health treatments for their sick loved ones. This presents a strong incentive for institutions not to have evidence of the landfill and the creek being the sources of those cases, because it would open the door to potentially millions of dollars in compensation—or even hundreds of millions, considering the other sites being contaminated by radiation. Second, it is impossible to completely know the extent of radiation from the Coldwater Creek as radioactive particles are spread all over the area. For instance, as the radioactive materials spread, contamination has been also measured in homes outside the limits of the St. Louis Airport Site and the nearby sites in the vicinity officially designated as a cleanup zone. Because they are located outside the cleanup zone, concerned households are not benefitting from the EPA’s Superfund Program, despite radiotoxic particles found in their backyards and basements being traced to the West Lake Landfill. In those local communities close to toxic and radioactive materials, residents live with the frustration of government programs that are only slowly moving toward remediation—and in some cases not responding at all to their immediate priorities. In response, they often organize themselves to remedy their plight. The psychological consequences to those living in the contaminated area should not be minimized, either. On many occasions, the film shows the permanent level of anxiety of families who have to permanently monitor radiation levels, prepared to leave at a moment’s notice about news of an emergency. In addition, they must go through the emotional trauma of the many lives being taken by cancer and other illness. 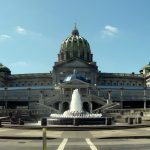 Added to this is the frustration of dealing with a government program they judged as ineffective, battling legal paperwork and confrontational public meetings. The film shows how the same affected families must fight against the cause of their problem and, at the same time, live with its consequences. The West Lake Landfill and the Coldwater Creek communities are organized around several groups, one of them being a group of mothers called Just Mums STL. The movement strikingly recalls the Love Canal Parents Movement started in 1978 by Lois Gibbs—who makes various appearances in the film—to fight against the dioxin poisoning of 500 families who were living close to the Love Canal landfill in Niagara Falls, NY. The movement eventually led to the creation of the EPA’s Superfund Program in 1980. Daunting legacy.The story of Coldwater Creek sheds light on the stalemate situation of nuclear waste management program in the United States. In fact, the West Lake landfill is only one out of a total of 64 environmental management sites, spread over 25 states, that were historically contaminated by the nuclear weapons production during WWII and the Cold War. To get an idea of the problem’s scale, the US Energy Department annually spends $6 billion on environmental cleanup of the legacy of the nuclear weapons program. This is one-third of the overall budget of a department that is supposed to develop future energy technologies, improve energy efficiency, and more. This huge overhead almost equals the annual budget of the entire National Science Foundation ($7.4 billion in 2018), which supports public research in the United States. These are important considerations, in light of the recent Nuclear Posture Review of the current administration, which calls for a complete upgrade of the US nuclear arsenal. The film makes a timely and important contribution to the national debate on the risks of managing and permanently disposing of radioactive waste. Contributions to the popular culture, both fiction and non-fiction, all have the potential to shape imaginations and narratives, which ultimately can help the communities and the government agencies involved. 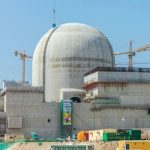 Whether experts and decision-makers like it or not, voluntary organizations involved in social welfare will have to be a central part of any successful management and disposal strategy of radioactive waste, in order to bring about the long-term commitment required for this complex and urgent task. The US nuclear waste management program would greatly benefit from engaging in an audacious structural reform where principles of voluntarism, trust, and negotiation are at the core of nuclear weapons waste disposal strategy and its regulation. Acknowledgments. This review was written in response to a special screening of Atomic Homefront organized by Human Rights Watch in March 2018 in Atherton, CA. This text benefited from background information developed within the “Reset US Nuclear Waste Policy initiative coordinated by Rodney Ewing at the Center for International Security and Cooperation (CISAC), Stanford University. 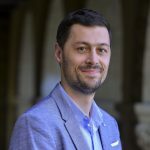 Although this publication received no specific funding, I acknowledge the support of the European Union’s Horizon 2020 research and innovation program under the Marie Sklodowska-Curie grant agreement No 739850, as well as the MacArthur Foundation under the Nuclear Security Fellowship program at CISAC, Stanford University. The views expressed in this publication do not necessarily represent those of these funders.